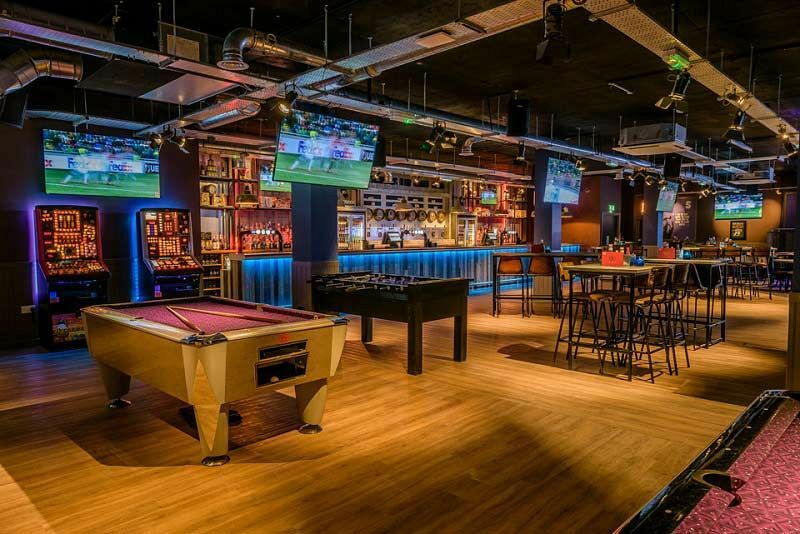 Enjoy an exclusive celebration this Christmas at a top sports bar venue in buzzing Birmingham and round off the end of the working year the right way! Located on Broad Street, you’ll be just a short distance from Birmingham’s New Street Station making it convenient for all of your guests to arrive and depart the evening. The event space is vibrant and stylish and here, you’ll be provided with much more than just a bar. Experience the biggest non-cinematic TV in the city, along with plenty of 62” TV’s available which you’ll be able to utilise for photos, logos and presentations. 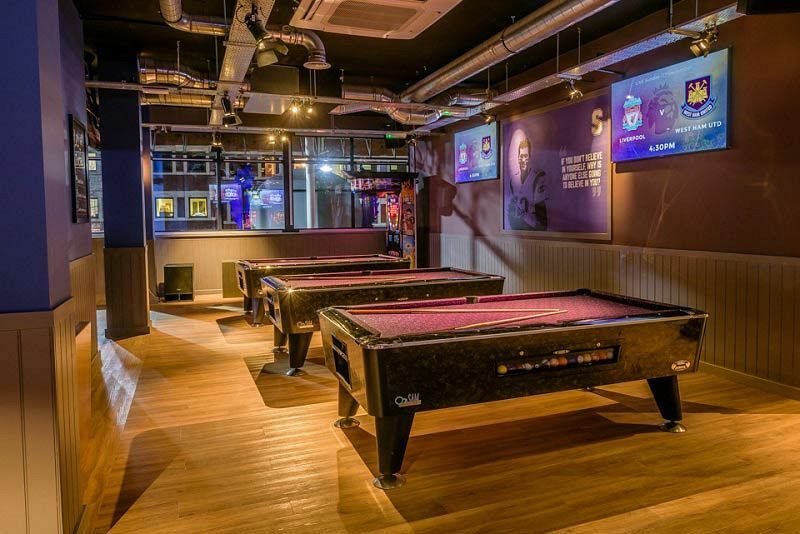 You’ll also be able get stuck into a game of pool with your colleagues on one of the four pool tables on offer in the bar. Other entertainment includes a punch machine where you’ll be able to test your strength, in addition to two shuffle boards. 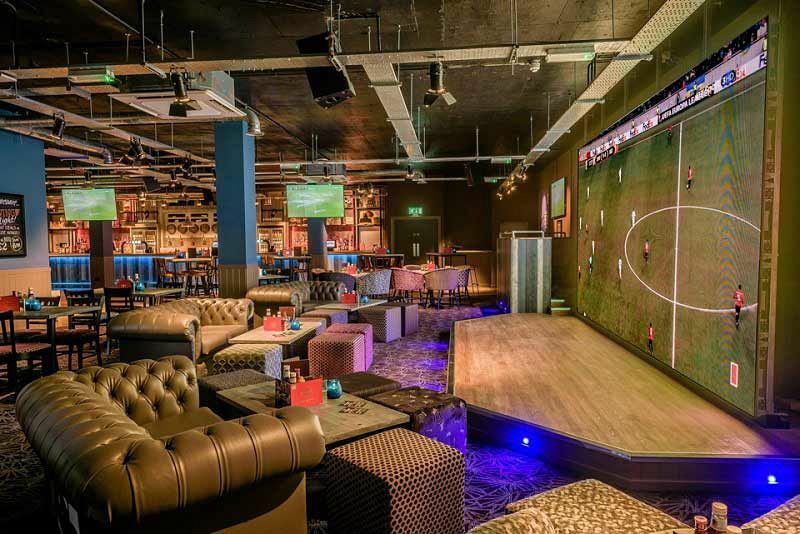 Throw some food and drink into the mix and you and your team will be sorted for a great night where you’ll be able to let your hair down in a relaxed and laid back environment. With several different packages on offer, there will be something to accommodate all budgets with prices starting from just £11.67 per person excluding VAT. There will be loads of tasty options to indulge in, such as sticky BBQ chicken wings, Nachos, selection of handmade baguettes and much more! The venue also offers an extensive drinks menu, offering everything from all your favourite beers, spirits and ciders to festive wines. If you’d like to start the night in style, then why not opt for a sparkling reception? With a DJ booth and microphone, there will be room to accommodate a DJ and party your way into the early hours. 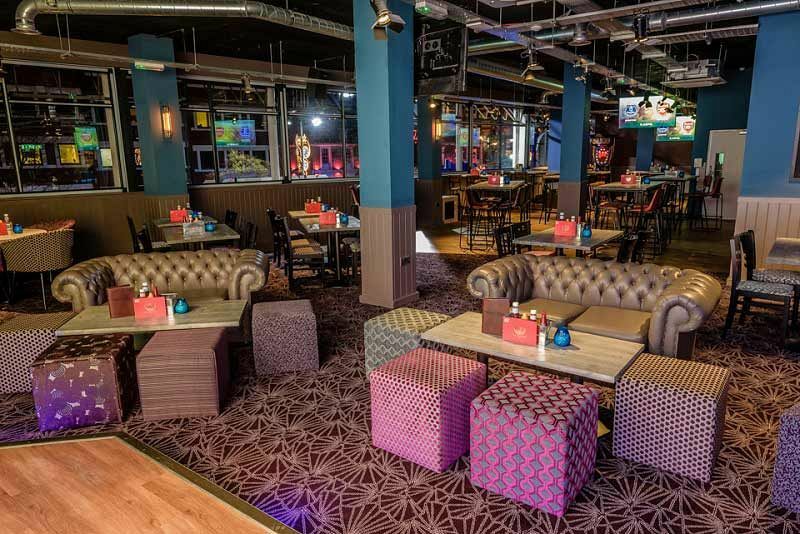 Book your exclusive Christmas party at this top venue today!